War Game - 1500 to 1800 A.D. 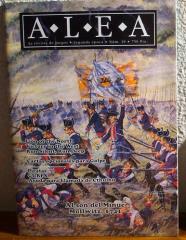 This magazine includes a simulation of the battle of Mollwitz, 1741 during the war of Austrian succession at the Battalion-Regiment level. Also includes 16 new cards for Junta.